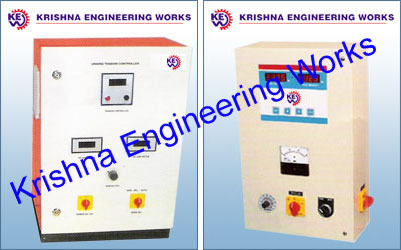 KEW is the most leading manufacturer for Tension Control System. The offered range of products is widely used to experience and understand the web psychology and behavior. Our products are manufactured and designed using high-quality material and cutting-edge technology for the better development of our products. Different type of web tension control system for various machines like slitter rewinder machine, winding rewinding machine with international standard of quality. Our System Help Convertors Achieve Higher Productivity, Lesser Wastes And Increased Profits By Maintaining Constant Tension During Running Process. – Set Value Of Tension Is Maintained Constant During The Process. – Wastages Are Reduced Since The Roll Can Be Used Until Last Few Layers. – Line Speed Can Be Increased. – Operator Can Focus On Other Critical Parameters Of The Process During Machine Running Condition. – Constant Tension Helps In Reducing Major Shift In Registration While Printing Which Normally Occurs When Frequent Adjustments Are Done With Manual Systems. KEW series controls Unwind, Rewind and intermediate web tension automatically. Just set the desire tension and the controller maintain it by automatically compensating for various roll diameters, speed, web material etc. actual tension and set tension is displayed on digital meter. Standard features include auto / manual, tension on/off, manual setting pot, soft start and mains on/off. Available with enclosure .Outputs available to control motor drives, powder brakes, pneumatic brakes etc. Modular Design, allows the controllers to be configured to exact application. All customers' adjustments are on board to simplify set-up.